There seems to be a never-ending string of articles about how horrible it is to be a woman in tech, and in particular one that wants to have a family. But while there are still a lot of issues to be solved, I think it can actually be pretty wonderful — at least that’s been my experience. I hope sharing my story shows another point of view of what it’s really like to be a woman running a VC-backed startup while having a baby. After all, if everyone reads only stories about terrible experiences, how can we expect more women to go into tech? I’ve been the CEO and co-founder of Noun Project since we started in 2011. We bootstrapped the company for the first few years, and in 2014 raised a $2 million seed round. I also just turned 32, and although my husband (and co-founder) and I knew we wanted kids, we decided to hold off so we could focus on building the company. We spent the next two years laying the foundation of what is now a nearly-profitable business. Although our team is still small, I took this time to focus on setting up our internal processes and building a company culture based on respect and open communication. As I turned 34, my husband and I decided it was time to expand our family. If someone could have guaranteed that we’d be able to have kids later, I probably would’ve held off a few more years. But there are no guarantees in life, and I’m thankful we made the choice to start sooner rather than later. The first people I told I was pregnant (outside of friends and family, of course) was our team. I knew I had to tell our investors next, but after reading all the horror stories, I was nervous. 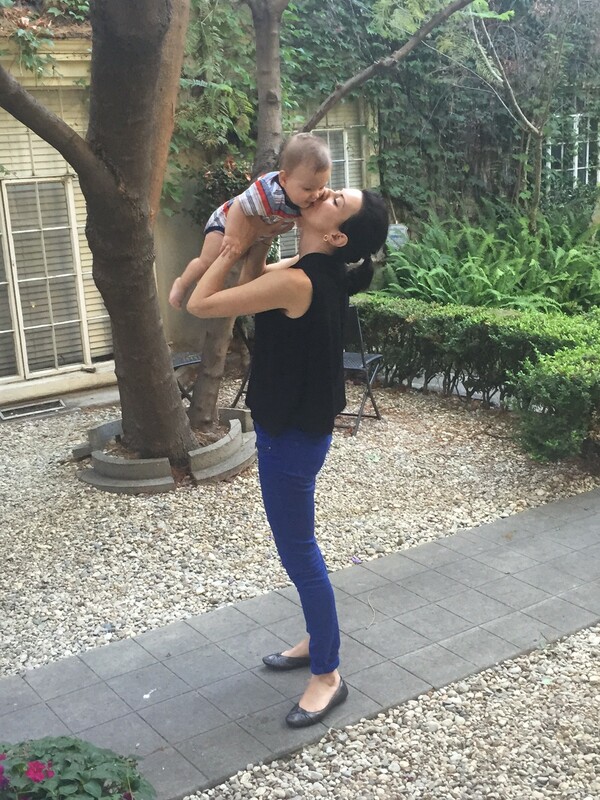 Starting a family was extremely important to me, and I was confident the timing was right. Still, I worried about what our investors would think: “Is she jumping ship?”, “Is she committed enough to the company?” Prepared with explanations for my decision, I called our lead investor Craig Shapiro. When he heard the news, however, he didn’t ask for my reasoning, nor did he do any of the horrible things often mentioned in stories about VC’s. Instead, he did what any other normal, kind human being would do — he congratulated me wholeheartedly on taking the step to welcome another little human into the world. Then he went even further by telling me about another woman founder who recently came back to leading her company after having a child, and how taking the time off helped her re-think key strategies which led to better performance. When I shared with him my concern about what the other investors will think, he offered to be the one they go to if they have any issues with it. This support and encouragement came, by the way, from a man with no kids of his own. All of the conversations I had with my other investors went just as well — words of congratulations, offers to help, and positive encouragement. One VC even suggested I take longer maternity leave than I had planned; others sent flowers and baby books after hearing the news. Is this the “norm”? Maybe not. I think the choices we made when selecting who to work with influenced the experience I had. We did not select our investors based on who could write the biggest checks or whether they had a Sand Hill address; we made a conscious decision to work with people we genuinely liked and respected. I believe in listening to your gut when evaluating what kind of person you’re about to do business with, especially when it comes to dealing with money. But I’m also an optimist, and I hope that most investors would react similarly, if only to avoid getting called out if they don’t. The support did not end there. As a result of unexpected pregnancy complications, I ended up on strict bedrest for 3 months before my son was born. It was a grueling experience, punctuated by constant worry about the baby’s health. But also, I was forced to manage the frustration of unexpectedly being locked up while the world (and my company) were moving forward. Working kept me sane. And let me be clear — I never felt the pressure to work from any of our investors, who on multiple occasions responded to my emails by telling me to get off my laptop. Working allowed me to feel like myself again by giving me control over something. It took my mind off the present situation, which enabled me to stay calm instead of dwelling over what-if possibilities. Having a daily routine kept the hours from dragging on. Two weeks before Christmas we brought home a beautiful, healthy baby boy. Staying home with a newborn, I tried to catch up on work while the baby slept (I’ve never been good at resting) and brought him with me to important meetings I didn’t want to miss. We were fortunate to get a lot of help from both sets of parents who took turns flying in and staying for weeks at a time. Because of this support, I felt comfortable going back to work part-time after 2 months, and full-time after 3 months. During the entire time I was out of the office, all I ever heard from everyone I work with, including our investors, were kind words and inquiries into how the youngest member of Noun Project was doing. Having streamlined internal processes and a strong company culture enabled our team, and our company, to remain focused and on-track during the months I was out of the office due to bedrest and maternity leave. Working in tech comes with certain advantages you rarely see in other high-pressure fields like consulting, entertainment or law. Most tech companies offer flexible hours — something that’s really important to parents trying to balance family and career. I’m able to spend a couple of hours with my son each morning (he wakes up super early), and I’m always there to give him a bath and put him to bed in the evening. My husband and I both work in the quiet hours after our son goes to bed. I’ve never had to miss my son’s doctor’s appointment, or stress over being a few minutes late because we were having an especially great morning playing. And that is not because I’m the CEO — everyone at my company and many other tech companies has those same advantages. It’s things like company culture and work-life-balance that allow smaller companies like Noun Project to compete with tech giants for talented employees. 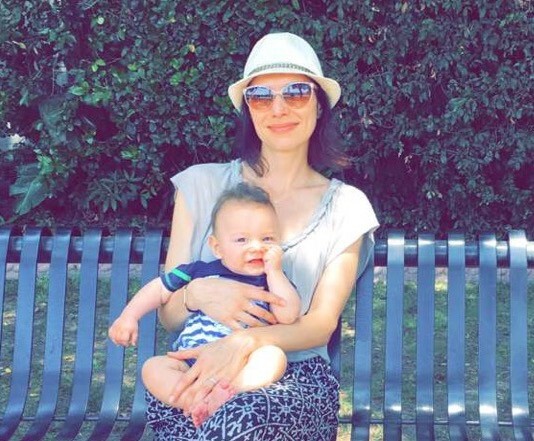 Being a full-time working mom certainly has its challenges, but I don’t believe my challenges as a tech CEO & full-time mom are any different from those of many other working moms. 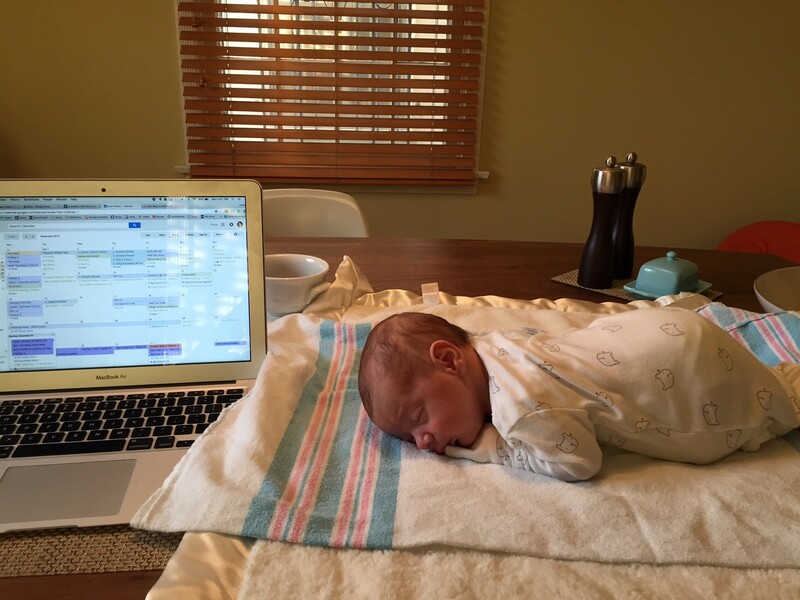 I feel lucky to be able to run a startup while experiencing being a new mom. It’s a constant balancing act, and my standard for “success” is when most days I feel content and focused while at work, but also super excited to get home to see my little one. And although I do sometimes feel that guilt-stricken tug-of-war between being a great mom and a great CEO, it’s always in passing. Unlike my friends in other high-stakes career paths, I have never felt like I had to choose between having a family and having my career. And just an fyi in case you’re wondering if all this mommy-business has made me “soft” — before my son even turned 10 months my company launched two brand new products that we’re very proud of — Lingo (a tool for design teams to manage their visual systems) and Nounji (an iOS sticker app). If you are a woman considering going into tech, or one of the many women I’ve recently spoken to trying to figure out if it’s possible to run a startup and have a family, I hope that sharing my story will persuade you to take that step.